When I found out I was pregnant with a fall/winter baby I was so excited to start shopping for clothes! Baby knits, warm hats, and tons of layers not only make baby feel cozy, they are cute as heck! Knitwear for babies is a little pricey, so I love stocking up on gender neutral pieces that I can keep and hand down. Brands like Rylee and Cru have some of the cutest knit pieces, I've especially been swooning over their bonnets and bloomers. Etsy also has so many great small businesses that sell knitwear, it's hard to choose my favorite shop! I've been keeping a little wishlist on my Baby Pinterest board because there were just too many cute pieces to keep track of. 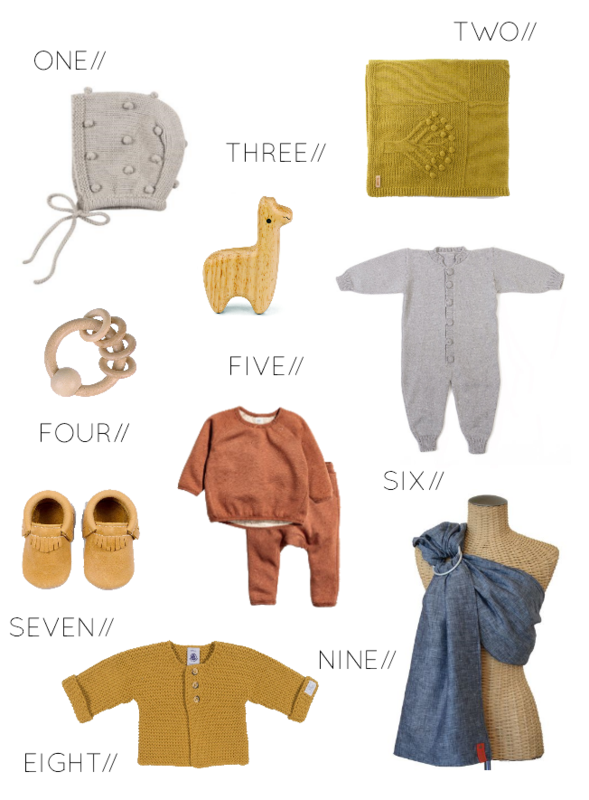 What is your favorite shop for winter baby essentials? Leave a comment and let me know, I always love discovering new shops and small businesses! Love these! Gives me baby fever but then mine start screaming and fighting and it's suddenly over haha. Do you have a button for your blog?